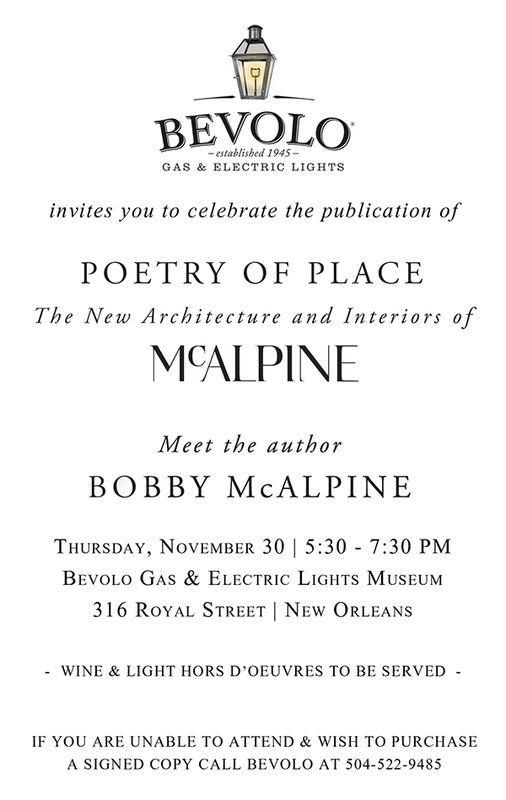 First up, our friends at Bevolo Gas & Electric Lights in New Orleans are hosting a book signing in their fantastic Museum in the French Quarter on Thursday, November 30th from 5:30 – 7:30PM. Head on over to 316 Royal Street to celebrate with us. 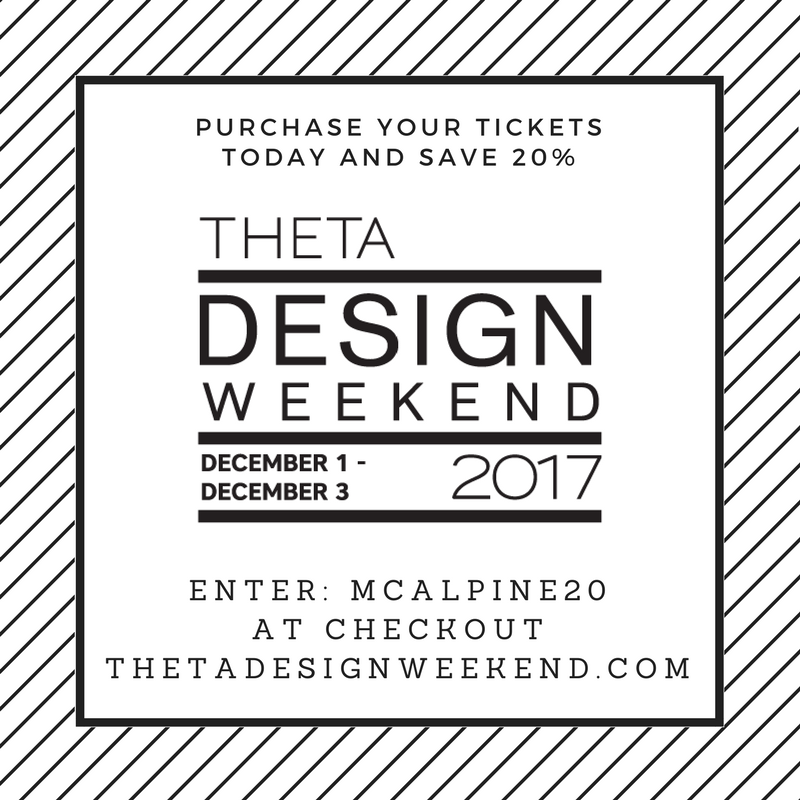 Then join us in Texas for the McALPINE Speaker Luncheon at Houston’s Premier Design Show: Theta Design Weekend, Saturday, December 2nd at 11:30 AM. Speakers include Bobby McAlpine, Susan Ferrier, Ray Booth, and David Baker. We will be discussing architecture and design with moderator Margot Shaw, Editor-in-Chief of Flower magazine. You will receive a signed copy of our new book Poetry of Place: The New Architecture and Interiors of McAlpine. Go to: http://thetadesignweekend.com/ for more info! And for a 20% discount on tickets, use the code McAlpine20 at checkout. We have one more event in December and then we will be taking a break for the holidays until the new year. We will have more to share soon. See you in New Orleans and Houston!